In episode 11 of Coffee Break Spanish we learn how to say what you’re going to do in the future. In Spanish you use the verb ir combined with a and an infinitive. The lesson explains all you need to know and provides useful examples! This episode was originally released in January 2008, so it focuses on the context of New Year’s Resolutions. Apologies for any confusion resulting from that in the middle of May! 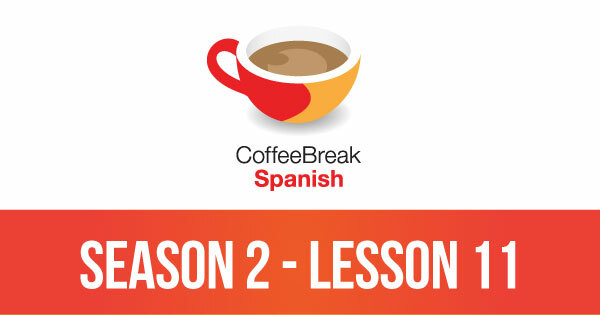 Please note that lesson 11 of Season 2 was originally known as lesson 211 of Coffee Break Spanish. We have renumbered the lessons of each season as lessons 1-40 to make things more simple for our listeners. Access this lesson and all future lessons of Coffee Break Spanish automatically by subscribing to the podcast. You can access the podcast on your computer, tablet or phone using the appropriate links below. Join the conversation with the Coffee Break Spanish team on social media! We post regular language and cultural information on Facebook, and you can keep up with Coffee Break Languages on Instagram. 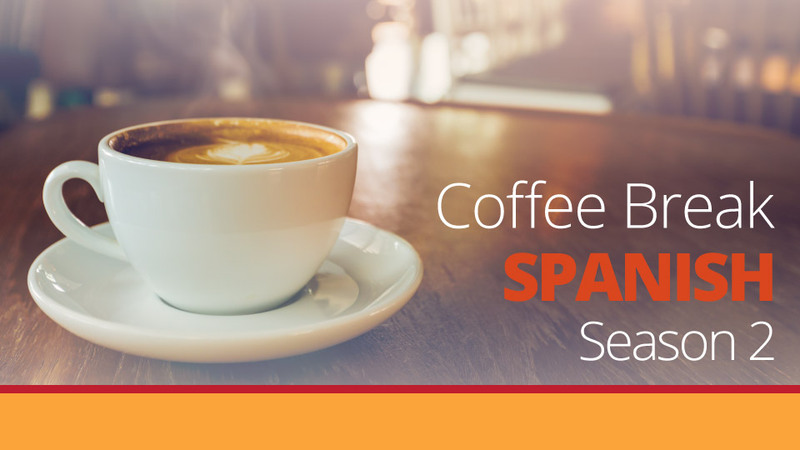 The premium version of Coffee Break Spanish Season 2 provides additional materials which will help you move forward more effectively with your Spanish studies. These are available on the Coffee Break Academy. Listen to each lesson and see the words and phrases covered in the lesson displayed on the screen of your computer, phone or tablet. Use our review lessons to practise the language covered in the main lesson, and to pick up some useful bonus vocabulary. Study the language of each lesson in greater detail and access additional information about Spanish in our comprehensive lesson notes. All our online courses are available only on the Coffee Break Academy where with a single login you’ll be able to access the premium elements of the course. You can access everything online or, if you prefer, you can download the materials to your own device and take your learning with you wherever you go. Would you like a free trial? Not quite sure if you’re ready to sign up for the premium version of Coffee Break Spanish? ¡No hay problema! We’d love to offer you a free trial. Just enter your details below and we’ll send you an email to confirm your level and get you set up with the first three lessons of the course absolutely free, with no obligation! I think yor lessons are fantastic. I have been studying Spanish for a few years now and have plenty of learnung material, but find yours very helpful. muchas gracias! thank you for this very useful lesson! Voy a aprender mas espanol y voy a escribir mas historias tambien. Me encanta escribir, pero a veces, no tengo bastante tiempo hacerlo.